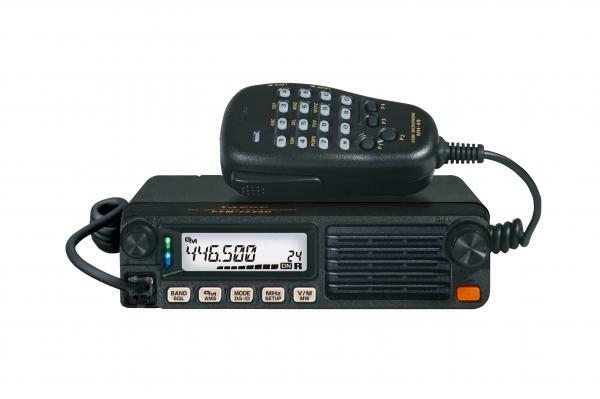 The new FTM-7250DR is a compact ruggedly built C4FM/FM 144/430MHz Dual Band 50W Transceiver incorporating the latest advanced features YAESU offers for the System Fusion II platform. 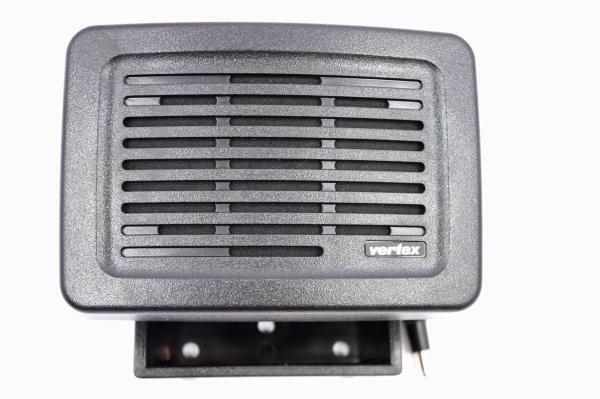 Users can expect this attractive new transceiver to provide reliable performance for long-lasting communications because the FTM-7250DR incorporates a Heavy-Duty Heat Sink equipped with the Yaesu exclusive FACC (Funnel Air-Convection Conductor - Wind Tunnel). Its Front Speaker delivers 3W of powerful clear and crisp audio - ensuring consistent communications - even in noisy environments. A new feature of the FTM-7250DR certain to be very popular in the Amateur Radio community with its expanded Wider Receiver Coverage: 108 - 579.995MHz (108 - 137MHz: Air Band). Other practical functions included in the new FTM-7250DR are; Large Multi-Color LED Indicator to show Operation Mode at glance; 225 memories (199 "basic" memory channels, 10 sets of band-edge memory channels and 6 "Home" channel) with 8 character Alpha-numeric tags for easy channel recognition; keyboard entry of operating frequencies from the supplied DTMF microphone; Built-in CTCSS and DCS Encoder/Decoder circuits; Time-Out-Timer (TOT); Automatic Power-Off(APO) and Automatic Repeater Shift (ARS); VFO scan, Preferential Memory Scan, Programmable memory scan and Dual Watch and so on. 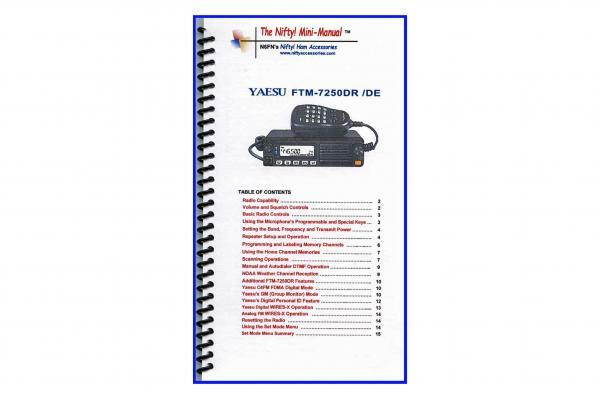 16 high-quality laminated pages, loaded with detailed instructions covering all aspects of using the FT-7250DR. 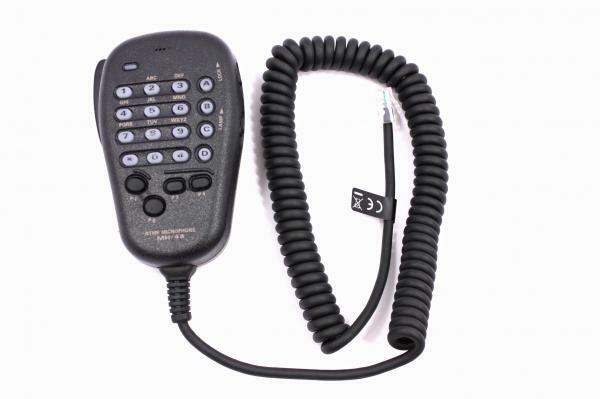 DTMF hand microphone for FTM350/1900R/2900R/3200DR/3207DR. Mobile speaker with mounting bracket.